Once again, the farce that is COAG (Council of Australian Governments) is meeting in Canberra this Friday to try and find a classification for the much hyped and lied about shotgun, the Adler A110 7 shot version. At the previous COAG meeting, it has been reported that all but one state wanted the Adler reclassified to category D. The New South Wales Police Minister Troy Grant, rejected the general consensus, primarily because they were about to contest a state by-election in the seat of Orange and they did not want to upset their political base. It seems the base was already upset as Shooters Fishers and Farmers were successful in getting their candidate across the line. Now that the by-election is over, it has now been reported that Troy Grant has back-flipped on the issue and will support the ban on the Adler. The National's loss of the Orange by-election in NSW has shown just how vulnerable the party is. Anti-establishment sentiment is certainly rising in Australia and in a very short time, it will shock the entrenched politicians more than they realize. 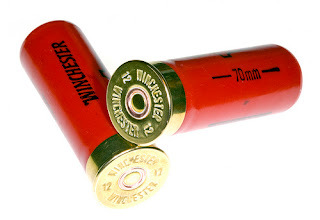 Only a fool would go in to this weeks COAG meeting recommending restricting the Adler shotgun. I will call it right here, right now. If Troy Grant gives in to the other states, they can kiss government goodbye and the SFF will gain the National Party vote. A similar story will result in Queensland. If the LNP do not pressure their state counterparts into rejecting the Cat D classification of the Adler, they will be decimated at the polls. Expect Katter's Australian Party and Pauline Hanson's One Nation to claim between 12 - 18 seats. The LNP members representing the city electorates will never form government again without entering into a coalition or agreement with KAP & One Nation. The whole issue could have been avoided if the 7 shot Adler was allowed into the country in the same manner as the thousands already here. A simple statement stating that it fits within the current NFA (same as the IAC models already available) and there is no need to change any existing laws. The "so called" conservatives are committing political suicide over an extra two rounds in an ordinary shotgun. Two Rounds - Enough to Destroy Your Political Base! This whole saga is a classic example of "knee-jerk politics", based on some lies and emotional statements from the gun control lobby. We have heard the common words: "high power" and "rapid fire" (a.k.a. lies) used to garner emotional support. The gun control lobby must be thinking they have won a big fight here, however their actions are systematically destroying one of the political alliances that has always supported their calls. Governments stacked full of pro-gun members from SFF, KAP and One Nation are going to be extremely hostile to the gun grabbers. No amount of George Soros' Open Society Foundation cash will help them! Most shooters don't even want to purchase an Adler but they will stand by and defend the right of those what wish to. Shooters are making a stand and pledge that we will actively lobby against and never support any politician that wishes to further restrict firearms ownership in this country. Please click this link and follow the instructions to take action. Truly people, I CANNOT BELIEVE THE AMOUNT OF TIME THAT Government has wasted on this issue ! It is truly scary to think that the people supposedly running this country have wasted so much tax payers money and valuable parliamentary time on the deliberation on categorization of a shot gun, IDIOTIC and PETTY to say the least !! I can honestly say that I DID NOT vote for any of these idiots and they have demonstrated first hand exactly why I did not !! The ridiculousness of this situation is that I can buy a 5 shot Adler on my A&B licence, then buy a conversion kit to increase the magazine capacity, and hey presto! I now have a lever action shotgun with greater than 5 shot capacity and I haven't broken any law or needed to get a new license. The whole situation is a farce. One thing I learnt a long time ago is that you wont find common sense in about 90% of Australia's gun laws. Some things work, eg background checks and safe storage, and the rest is a waste of time and taxpayer money. Thanks for your insightful and helpful blog,we all are grateful to blokes like you for getting the word out to the rest of us,and the links provided were a real asset as well,seeya on the range,giddyup!